Thanks to the creation of a task force of experts on Blockchain technology, the Italian Minister of Economic Development to develop a national blockchain strategy to allow Italy to be at the forefront of Blockchain technology. Ernesto Damiani, a member of this task force, has kindly accepted to answer some of our questions. 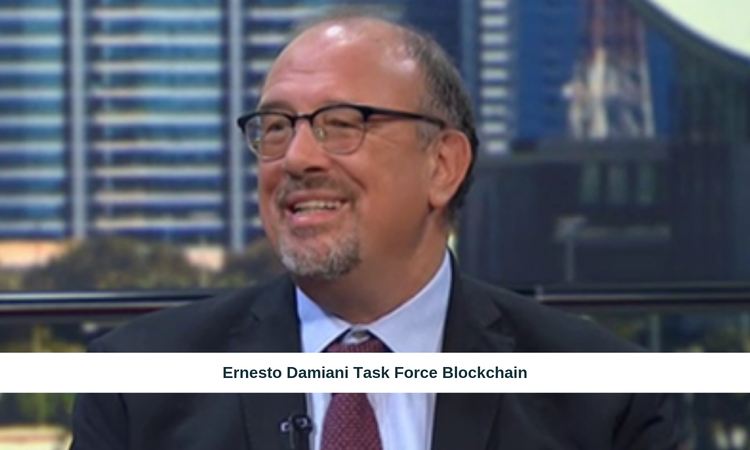 Today we had the pleasure to publish the interview with Professor Ernesto Damiani, one of the 30 experts selected by the Ministry of Economic Development of Italy to develop the national strategy regarding DLT and blockchain technology. Hi Ernesto. Tell us a little about yourself, what do you do and how did you approach the blockchain world? Besides leading the Secure Software Architectures research lab at Università degli Studi di Milano in Italy, I founded and currently lead the CyberPhysical Systems Research Center (C2PS) at Khalifa University in the UAE. In both these capacities I have led projects exploiting distributed ledger technologies, from pseudo-currency based payment systems (the Pay with a Group Selfie project funded by the Bill&Melinda Gates Foundation and deployed in Benin, West Africa) to clearing houses for the telco sector. At C2PS we are busy working with Khaled Salah and Davor Svetinovic on voting systems and on blockchain-aware open development environments. As a professor at Università degli Studi di Milano and at Khalifa University in Abu Dhabi, how different is the approach to innovation between Italy and United Arab Emirates? The UAE has announced a concrete strategy for Blockchain based disintermediation of critical vertical domains (for example real estate, fintech and energy) as early as 2016 and individual Emirates such as Dubai have immediately created the regulatory “sandboxes” for implementing pilot projects. So, the UAE approach has been until now more “hands-on” than ours. However, Italian Blockchain researchers and practitioners are top notch. If we can provide regulatory backing to some large scale pilots for Italy and Europe, the technology will be ready to follow. In your opinion, is it right to talk about blockchain without mentioning bitcoin? On a national level, better a public or private blockchain? What are the pros and cons? No. Bitcoin and the other crypto currencies showed the practical feasibility of large scale disintermediation based on public ledgers. However, currencies and pseudo-currencies are a very critical application domain, as the regulatory framework is multi-level (international agreements, national law and central bank oversight) and security concerns are particularly high. In my opinion we should focus our current efforts toward blockchain-based disintermediation to application domains where a regulatory sandbox can be set up more easily, e.g via templates for contracts among interested parties, and end-user security can be built-in more easily. How far are we in seeing a common standard with blockchain technology? Blockchain Standardization efforts have started both at the European and at the international ISO level. Italy is very well represented in these committees: Pietro Marchionni, who oversees the standardization process for Digital Italy Agency (AgID), is one of the best European Blockchain experts. Having said this, I see many independent standards coming up rather than a giant all-inclusive specification. What are the limits of the current blockchain technology? Current limitations mostly relate to implementations’ non-functional properties: performance and security. On-chain/Off-chain computation balance is hard to achieve. Bitcoin scaled, of course, but cryptocurrency scalability does not help, say, to build a cadastral application involving heavy off-chain data. Against conventional wisdom, I believe database companies are in a good position to help on this one, if they can resist the temptation to fight the Blockchain wave. We need them to join it. The security issue mostly concerns handling different levels of anonymity safely. For non-currency applications we need to move away from Bitcoin-style signature-based pseudonyms, but debate is still raging on the “right” approach. How would you define the "Open Execution" and why is it improving Blockchain? As a co-founder of the International Federation for Information Processing (IFIP) working group on Open Source Software back in the Nineties I have little doubt that Open Execution is the real successor of Open Source. It can guarantee consensus on the behavior of key components of software applications residing on the ledger, much more than you can obtain from inspection of open source code. If we can solve the performance problem, open execution will make the dream of trusted computing come true. How important is the interoperability between the different implementations of blockchain technology? It is certainly an important problem, especially for service providers offering multiple sorts of Blockchain as a service. Personally, I believe that overcoming the limitations of individual implementations more important at this stage than the interoperability issue; first you get Unix and then you do Posix :-). Still I'm aware that many colleagues, especially the business experts, think otherwise. For them Interoperability may be a key success factor.